It takes at least a week for me to write a review of a makeup or skin care product. I need ample time enough to say that it's safe and effective for my skin before I share my experience. My recent discovery is a micellaire or a makeup remover. I got a bottle Bioderma clear solution from a recent event I attended. Thank you Sony Channel! 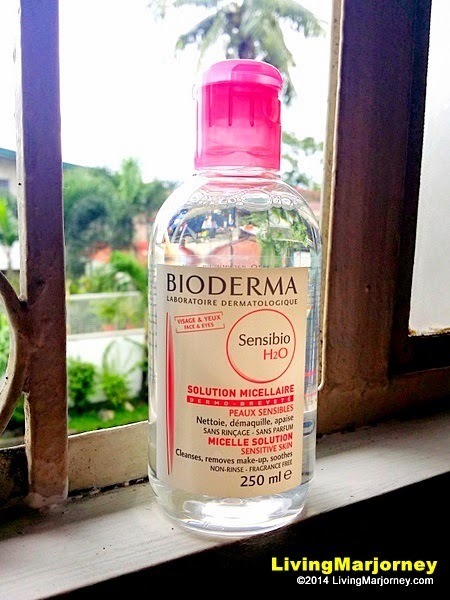 I started Google-ing Bioderma Sensibio H20 Micellaire Solution and found a long list of positive reviews. Well, well, well, I told myself this is something worth trying for ... immediately. For several months, I've been on the look out for a bottle of toner. I was about to purchase Celeteque Brightening Toner though (because I'm currently using Celeteque Brightening cream, review soon) until I got Bioderma Sensibio. 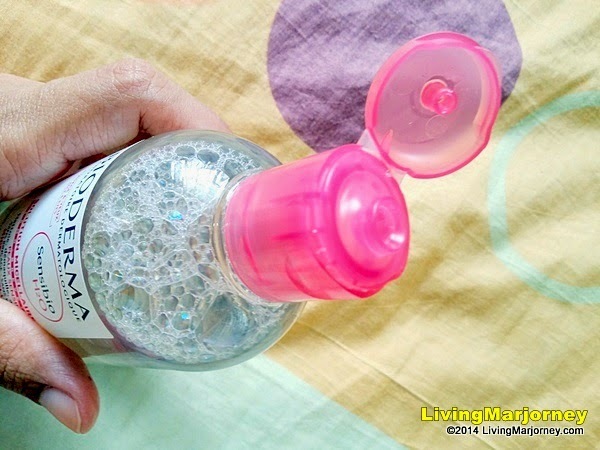 For the makeup remover, I've been raving about Physiogel Cleanser. It's a very good cleanser even works on stubborn mascara. 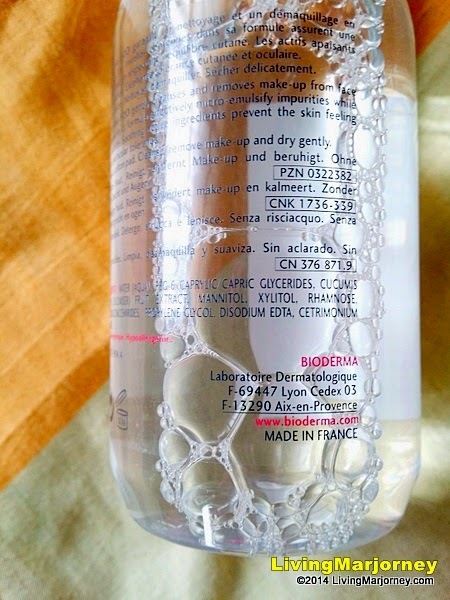 Bioderma is made in France. I can say their line of skin care products are not cheap. Sensibio Micellaire is around $26 per 500ml bottle. I tried the product starting from the back of my palms and neck area. 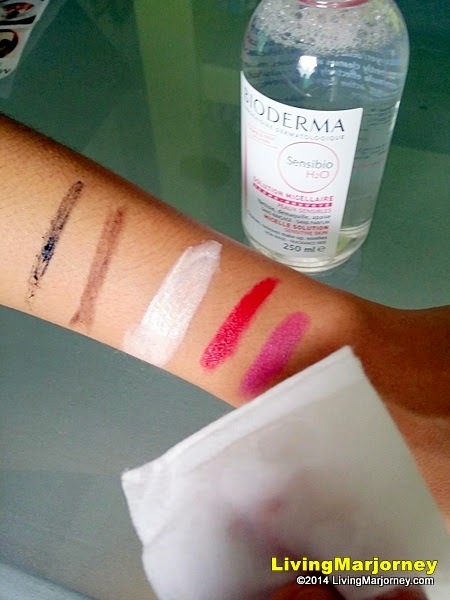 I agree with most of the reviews that Bioderma Sensibio H20 is very refreshing to the skin. 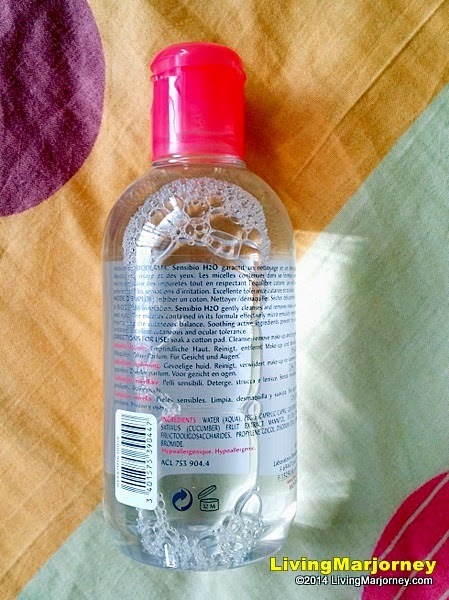 It's non-irritating compared to other facial cleansers and toners that irritates even my eyes. 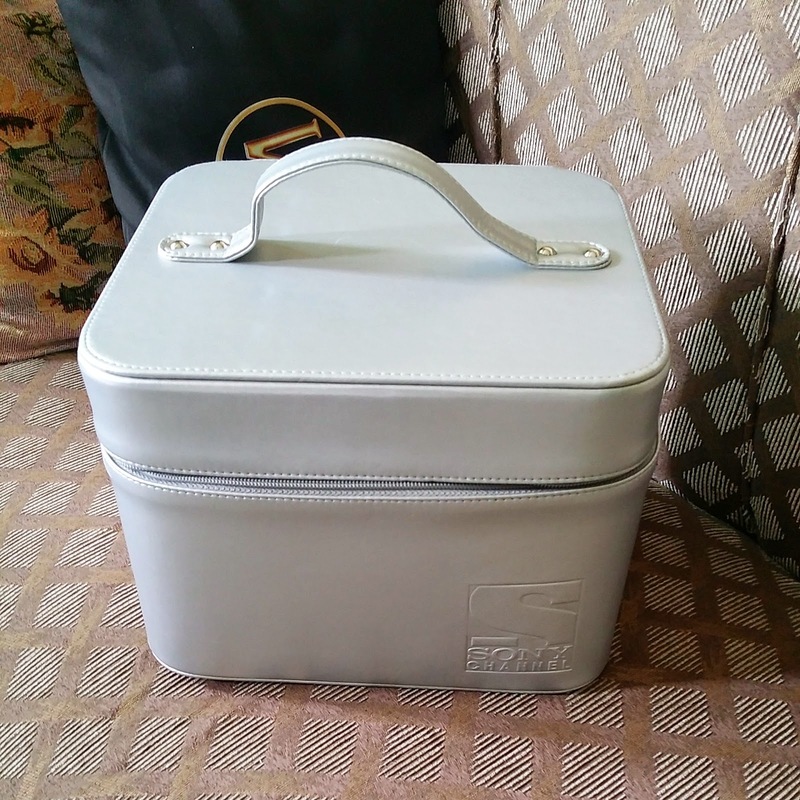 Easy to use flip cover. I have a 'combination' skin type, meaning the T zone is oily and the rest dry. I also get easily irritated for products not for my skin type. There's sudden itchiness, redness and skin breakout on first use. Bioderma Sensibio H20 Micellaire Solution promises to work on even sensitive skin. The solution is like water, it's non-irritating and has very mild scent. 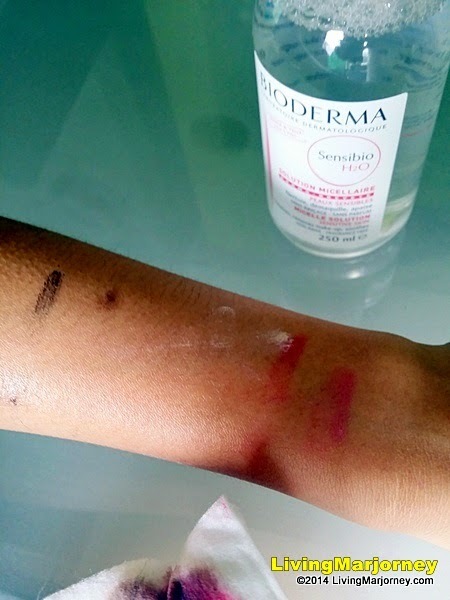 Bioderma Sensibio works as a makeup remover, cleanser and toner in one handy bottle. Apply using a cotton balls and simply wipe over your skin. I believe the cucumber extracts help calm sensitive skin. Now, for the testing part. 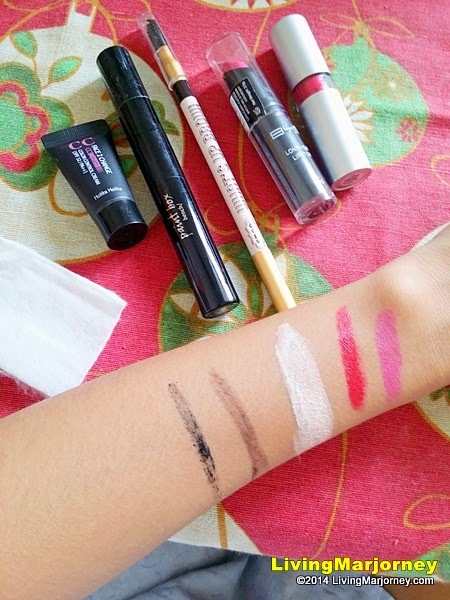 I applied makeup on the back of my hands - red and pink lipsticks, CC cream, eyeliner and the stubborn mascara. 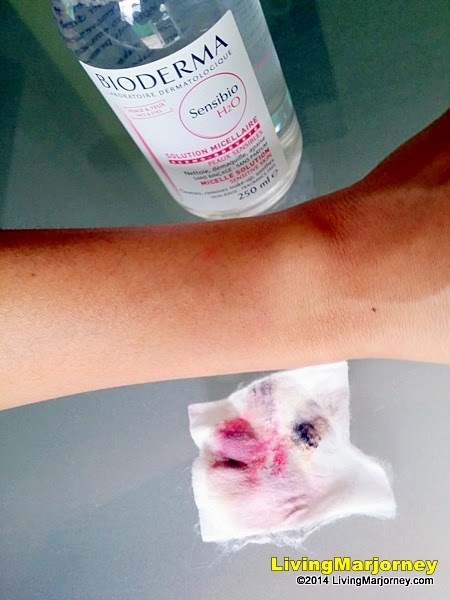 I waited for about 20 minutes for my skin to absorb them before cleansing using Bioderma Sensibio H20. Wow! 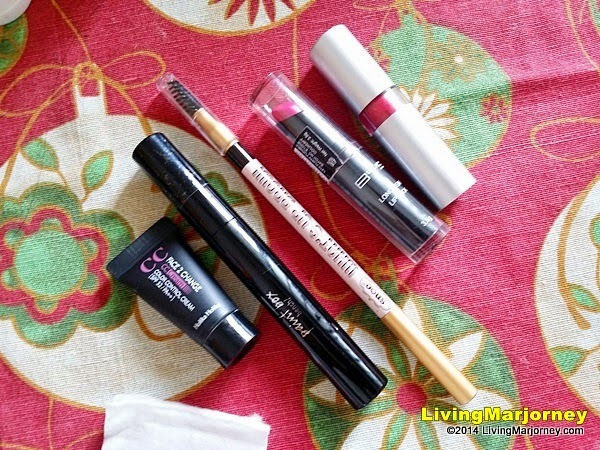 Bioderma Sensibio H20 Micellaire Solution cleansed my skin with minimal effort even the hard to remove water proof mascara and the long-lasting BYS lipstick. No scrubbing at all, just a single stroke. Most important, I felt my skin clean and refresh, not sticky. I think I finally found the right toner, cleanser in one bottle. I read on their Bioderma Philippines FB Page, the products will be available in Watsons very soon. How about you, have you tried Bioderma Sensibio H20 Micellaire Solution or any Bioderma product?